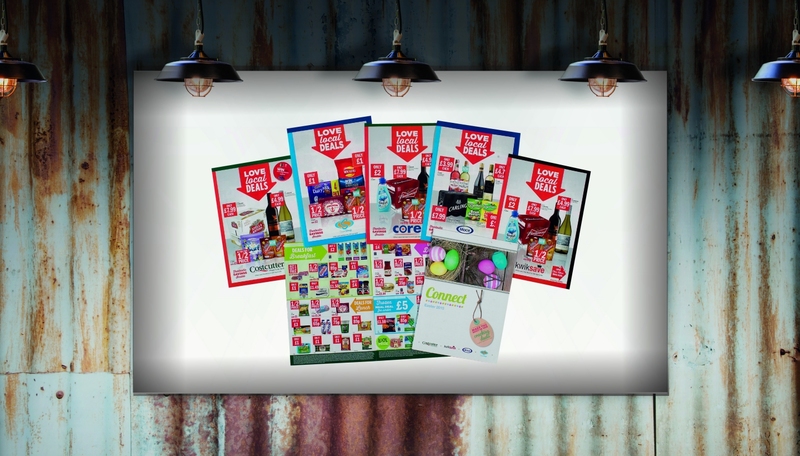 Provide big brand, deal led promotional leaflets for the community of 2,600 independent retailer's customer base, nationwide every 3 weeks, 18 times a year. In partnership with Costcutter's marketing team we work hard to maximise impact, highlight key selling opportunities and the unique selling points of the retail offering and drive footfall within the community to stores under the Costcutter, Mace, kwiksave and Supershop fascia. Clean, crisp artwork and strong promotional marketing material is our agenda. Circulation per annum is currently 2 million copies nationwide.